But sometimes we need to show more than that to show all of the details of a piece of clothing, a handbag or a cute pair of shoes. 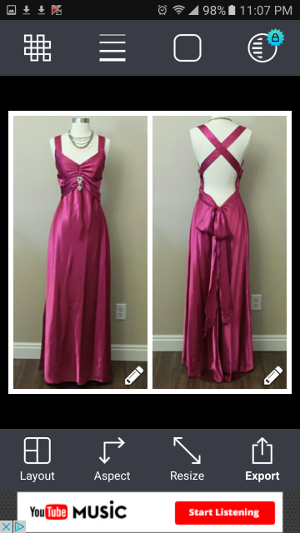 For a dress, I might want to show the full front and back of the dress, a close up of any lace or beaded details around the neck or waistline. Maybe a close up of the print or the texture of the fabric. If it’s a designer piece, then I would also want to show a picture of the tag and any other details that indicate it’s authentic. And if there are any flaws, then those should be shown as well. So it’s easy to come up with more than 4 pictures to accurately show what you are selling. Some sellers create a second listing, call it “Additional Photos”, and mark it as not for sale. The problem with that is it’s not obvious what you are doing when a buyer sees the listing in their news feed. Potential buyers might only see the additional photos listings in their news feed instead of the original listing. And if the cover shot is not your ideal cover shot for that second listing, then it could cause them to skip right over it. Or if they see the additional listing as not for sale, then they might assume that the actual item being sold is not available at all. On the other hand, a buyer who discovers your original listing in the news feed is not likely to dig around to see if you have any other photos in your closet of the same item. Even if you clearly explain it in your description, a lot of user’s skip right over the description and don’t read it. Making sales is way easier when our listings are as clear as possible. You can easily create collage images using a free phone app. There are several out there that work well. My personal favorite is Pic Stitch. It’s available for both iPhone and Android. If you need a collage just to show off details of an item, then I would not use it as the cover photo. We want our cover photos to be as clear and easily identifiable as possible and I think a collage adds some distraction. However, I do like using a collage for long dresses because they tend to leave so much empty space in the photo. I will show the front and back side by side to keep the photo from being too boring. Also, if you have a styled photo of an item, using a collage to show the styling and the item itself side-by-side can be clearer. Otherwise, it might be hard to tell if you are selling the bright blazer, the striped tank top or the adorable pencil skirt in a styled photo. 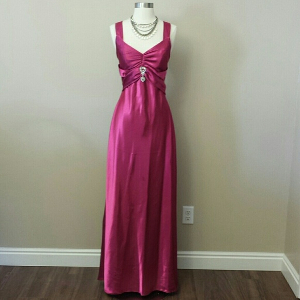 I’ll explain how Pic Stitch works using this image of a formal dress. 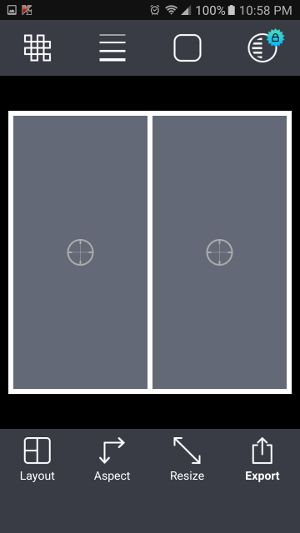 The focus of the image is long and skinny and the majority of what you see is bare walls. But I want to show off the dress, not the paint inside my house. When you open the app on your phone, you will be presented with various layout options. 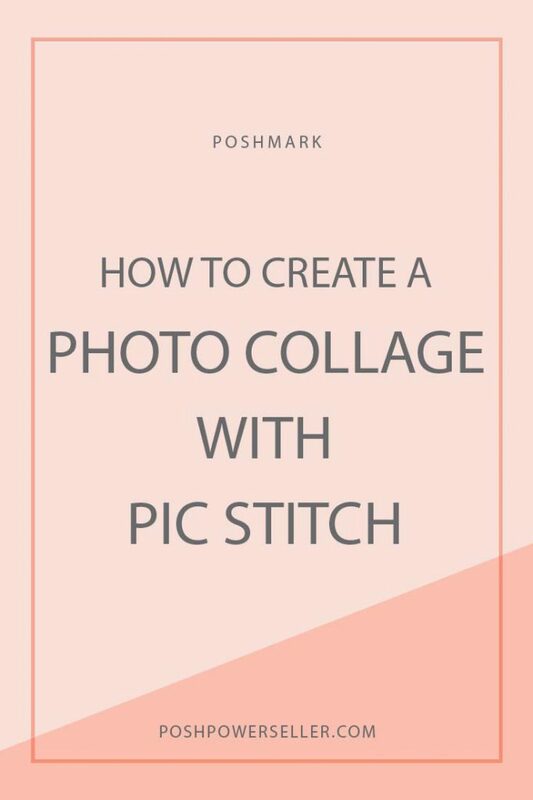 There are a whole bunch of fancy options, but for Poshmark photos, you will generally use the simpler ones found on the first page. I most frequently use the side-by-side layout below. You can tap on each area inside a template to load an image into it. 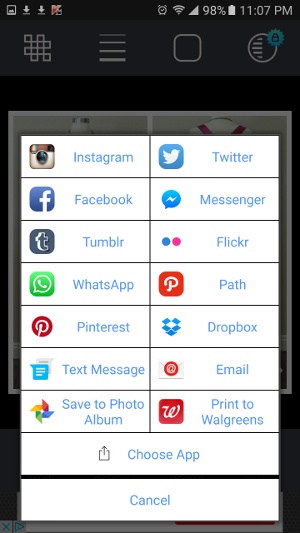 The app will open up a screen that lets you navigate the images on your phone to choose what you want to upload. You can select photos one at a time, or select all of the photos that you will use at once, which is what I have done below. Once you have your images uploaded into the template, you can drag them around to position the photo just how you want inside each template area. To save your collage image, tap on the Export button. It’s on the far right of the bottom menu. When you export your collage image, you will probably be shown an ad. It will usually be a short video. Watch it to completion and then your image will be saved to wherever you chose above. So to recap, I went from the photo above with a whole lot of empty space to a photo that doubles the amount of sellable imagery. In this particular case, it also shows off the back of the dress, which I think is just as interesting as the front. Most free apps are still monetized somehow. And providing extra advanced layouts is another way Pic Stitch earns some money. Once a day, Pic Stitch gives you the opportunity to view an ad. 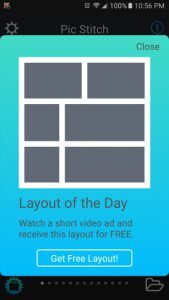 At the end of the ad, you get access to the layout of the day. 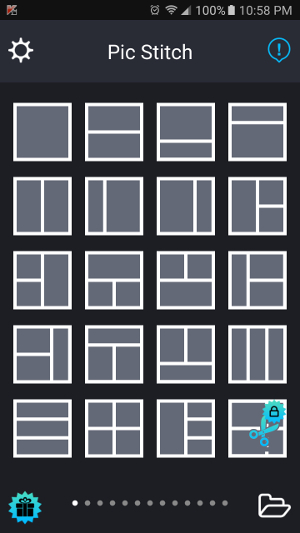 You can also purchase an additional frames pack for 99 cents that gives you 170 extra layouts. 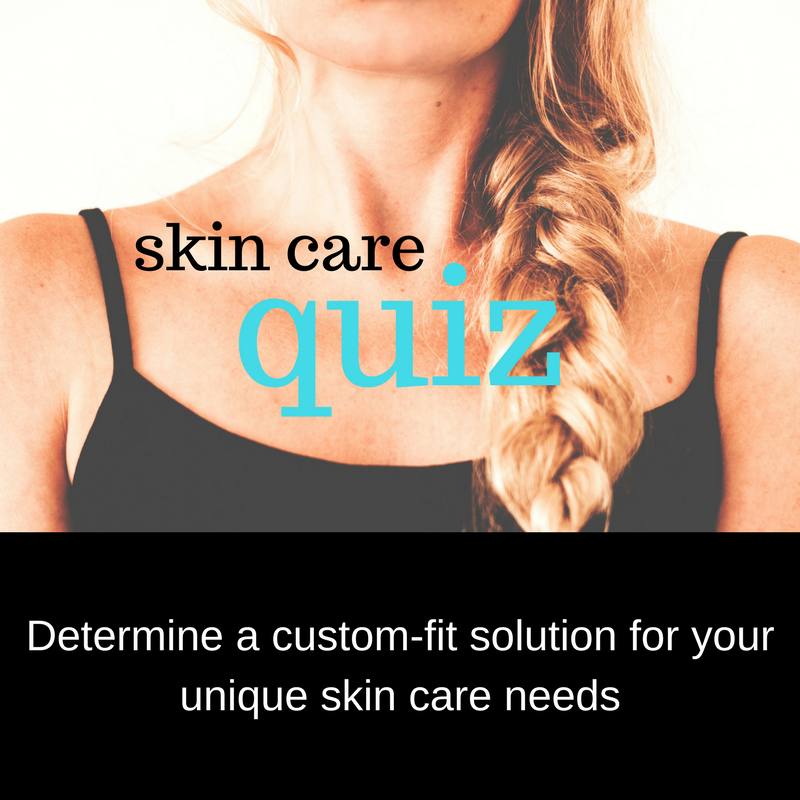 It also gives you the ability to create your own custom layouts. 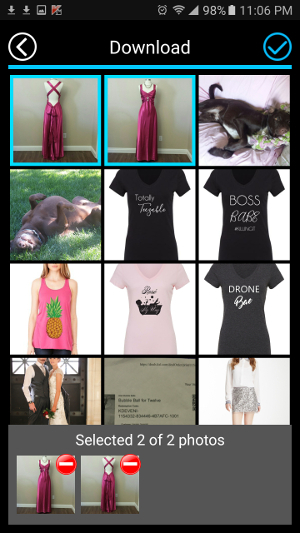 To be entirely honest, I have never used any of the extra layouts for Poshmark. I only ever use very basic layouts that are automatically included when you first install the app. Download Pic Stitch for free! If you haven’t already downloaded Pic Stitch, get it for free at the Apple store or the Google Play store. It won’t cost you anything, it’s totally easy to use and it is such a good tool for your Poshmark closet. 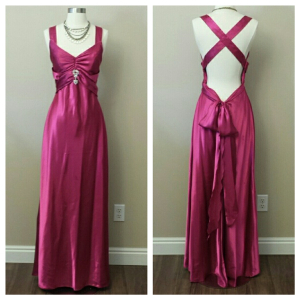 Do you already use any apps for your Poshmark photos? What are some of your favorites? Let us all know in the comments down below!